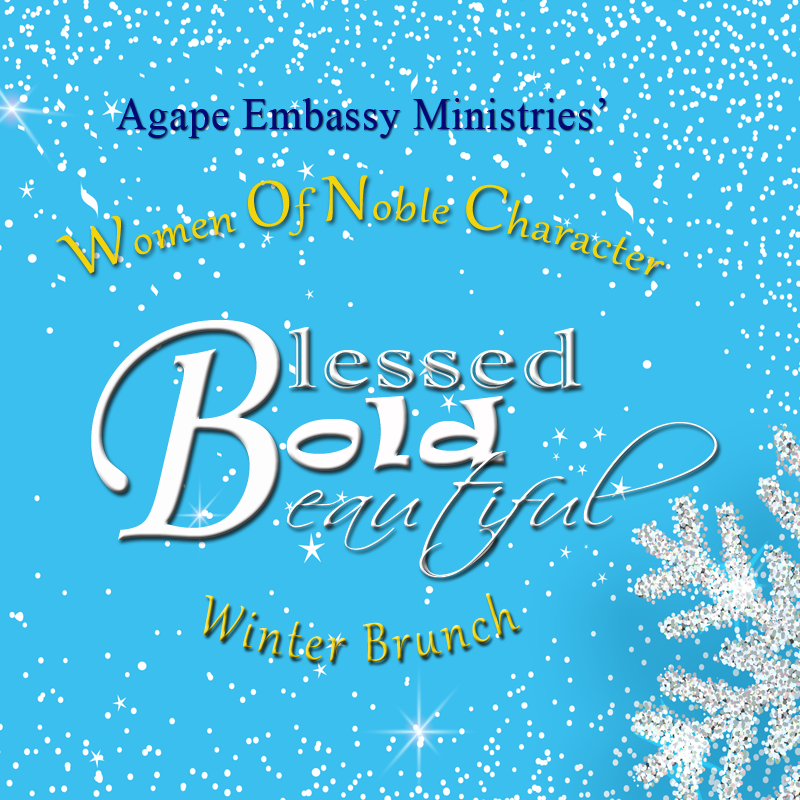 Thank you for joining me, and inviting your friends and family to our Women of Noble Character Winter Brunch. We will continue to focus on our theme “The Blessed Bold & Beautiful!” We will be celebrating who we are as women in the Kingdom of God, who can stand Boldly and proclaim His Word. As He changes and develops us on the inside, we will be beautiful on the outside! (Isaiah 61:3)We will welcome our special guest, award winning saxophonist Angella Christie!In addition we will enjoy a delicious brunch and you also don't want to miss the opportunity to fellowship with women of like precious faith as we receive revelation knowledge from our Lord! I look forward to seeing you there!